Lettuce Entertain You Enterprises, or LEYE, and Eataly this week joined the growing number of restaurant companies that are voluntarily moving away from the use of plastic straws. The Chicago-based LEYE, which operates 120 restaurants across nine states, said Wednesday it plans to be plastic-straw-free by Oct. 1. Instead, the group’s restaurants will shift to the use of biodegradable alternatives, including paper and biodegradable plastic — as well as all-natural straws made of hay, or wheat stems, and bamboo. Ideally, straws will not be used at all, said the group’s president R.J. Melman, who spearheaded the move. The eco-friendly alternatives will be made available only on request. Melman said the company has been working on moving away from plastic straws for about eight months, but the key was figuring out the supply chain alternatives. But plastic-free alternatives are becoming more available, he said, and guests have liked tests of hay and bamboo straws at the group’s Ramen-san and Sushi-san concepts, for example. The U.S. division of Italian restaurant-and-retail chain Eataly, meanwhile, said Thursday it will remove plastic straws from all locations by July 31. The five-unit chain will switch to paper straws, and also plans to replace plastic stirrers with wood alternatives. Eataly will also switch to 100-percent compostable utensils, the company said. Eataly locations in the U.S. use about 18,000 straws on average per week, said Nicola Farinetti, CEO of Eataly USA. “Investing in the replacement of plastic straws with recyclable alternatives is just one example of our commitment to reduce waste in action,” Farinetti said in statement. The anti-plastic-straw movement has been growing rapidly, in some regions spurred on by legislation. A ban on both plastic straws and utensils in restaurants is scheduled to go into effect in Seattle on July 1, for example, forcing foodservice outlets there to switch to compostable and paper alternatives or face potential fines. Similar legislation is being considered in New York City, as well as a number of cities in California and Hawaii. The United Kingdom in April became the first country to ban plastic straws and stirrers, in a move to be implemented next year. According to the recycling nonprofit Eco-Cycle, an estimated 500 million plastic straws are used in the U.S. each day, an amount that would fill more than 127 school buses or wrap around the globe more than twice. That estimate is based on an average of 1.6 straws used per person per day, which means each person in the U.S. would use about 38,000 or more straws between the ages of 5 and 65, Eco-Cycle estimates. Plastic straws are not often recycled and, in coastal areas, can end up in waterways and oceans. Consumers are also becoming more aware of the impact of plastic straws on the planet, illustrated in 2015 by a hard-to-watch viral video of a sea turtle with a plastic straw wedged into its nostril. McDonald’s earlier this month said it will start phasing out use of plastic straws in about 1,300 restaurants in the United Kingdom and Ireland, replacing them with paper straws, starting in September. Under pressure from environmental groups, last month the Chicago-based chain also reportedly said it will test compostable straws in certain markets in the U.S. to meet regulations as the company works with packaging experts to develop a planet-friendly, cost-effective solution. — The Phoenix-based Fox Restaurant Concepts, which operates close to 50 restaurants under 13 concepts, announced a company-wide plastic-straw ban earlier this month. Eco-friendly straws will be made available only on request. — The Palo Alto, Calif.-based foodservice contractor Bon Appetit Management Company announced in May it plans to immediately start phasing out use of plastic straws and plastic stirrers at 1,000 cafes and restaurants it operates in 33 states. Bon Appetit plans to eliminate plastic straws by September 2019. Paper straws will be made available to guests with physical challenges or who strongly feel they need a straw, the company said. — Danny Meyer, founder of New York-based Union Square Hospitality Group, tweeted in May that his restaurant group would immediately begin eliminating plastic straws. — The Greene Turtle Sports Bar & Grille, based in Columbia, Md., has banned plastic straws from its 46-unit chain, estimating its straw-free efforts will prevent seven million plastic straws from entering the ecosystem. 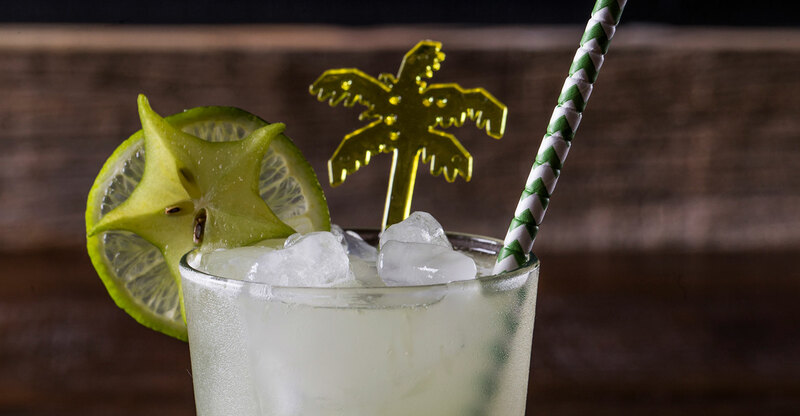 — After starting the phase out of plastic straws last year, the waterfront Rusty Pelican, its neighboring sister restaurant Whisky Joe’s and Rickenbacker Marina on Florida’s Key Biscane in January launched a #MiamiIsNotPlastic campaign. In addition to straws, the restaurants banned plastic to-go containers, utensils, kid’s cups and plastic coffee pods, switching instead to biodegradable and paper alternatives. 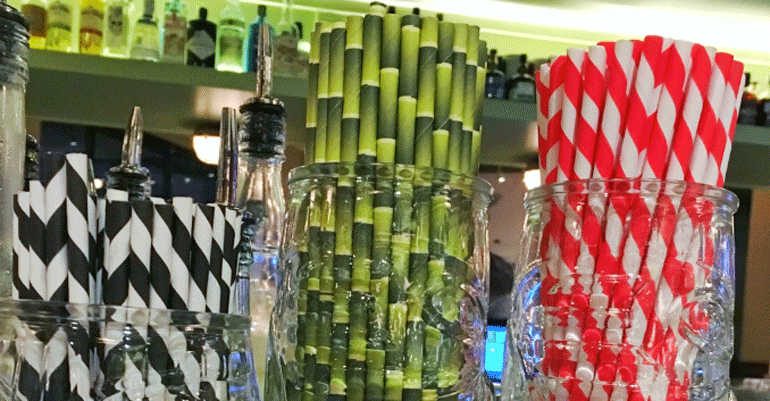 Many other restaurants have also indicated a shift to paper straws on request, including Atlanta-based chain Ted’s Montana Grill; Tom Douglas’ restaurants in Seattle; Freehold in New York; Pagan Idol in San Francisco; along with the five-unit Tacolicious chain, also in San Francisco, and sister venues Bar San Pancho and Mosto. Dallas-based Snappy Salads chain was an early pioneer of the movement, banning the use of plastic straws in 2014, and offering paper straws instead. Paper straws from Aardvark Straws are biodegradable and can be composted, according to the company. Earlier this year, however, company officials said paper-straw manufacturers are struggling to keep up with demand, with orders taking up to 12 weeks to fill. For a time, guests at the 18-unit salad chain were being asked to do without or bring their own, though company officials said Wednesday they’ve received their shipment of paper straws — and that they’ve already placed another order for the next to allow for slower production time. David Rhodes, global director for paper-straw supplier Aardvark, said the company is adding capacity “as fast as anybody can,” but that the company is urging clients to stock up ahead. “Our business is up almost 5,000 percent,” he said. “We begged people late last year and early this year to stock up ahead and they didn’t do it, so you get a perfect storm. “But it will get better, and it will get better soon,” he added.